Price is inclusive of all setup and origination costs. 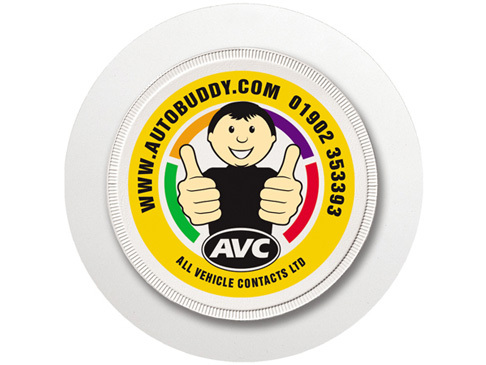 These budget busting round vinyl promotional tax disc holders with a clear self cling rim are fantastic value for money and are great for any motor sector promotion. With two print positions are available, on the rim outfacing or the rim infacing for your logo or brand message. Print area: disc infacing: 76mm dia.